Starting the day with a good cup of coffee is something a lot of us like to do: you don’t have to waste your money going to Starbucks every day when you invest in your very own coffee machine for the home. 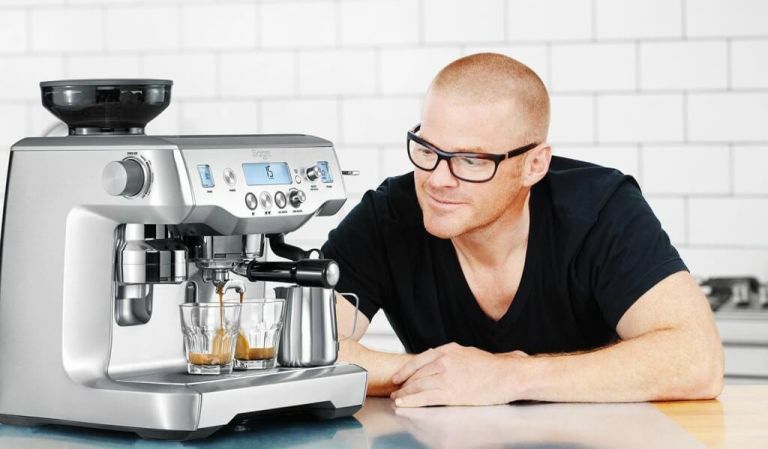 There are many different types of coffee machines you can buy, depending on how you like to drink your coffee. Which you buy depends on all sorts of factors, so follow our guide to the best coffee machines – of all types – and don't miss the best of the rest of our appliance buying guides. Pod and capsule machines are very popular as they are quick and easy to use and are normally pretty good value for money. However, purchasing one of these means you are committed to buying the right pods on a regular basis which could quickly add up if you drink a lot of coffee. Bean to cup machines tend to work out cheaper in the long run, and are much more likely to please the coffee aficionado with their fresh-tasting results. They normally come with a range of settings so you can make anything from an espresso to a cappuccino, and have added features such as a milk frother so that you can have your very own Costa or Nero from the comfort of your own home. Filter coffee machines are a more classic option, and better when catering for more people than just yourself. If you like your coffee strong and black, then a filter machine will most likely cater to your taste a little better than a pod or bean to cup machine, although they take a little longer to prepare your drink, so you’ll need to have patience when making filter coffee. We’ve picked out the top five coffee machines that cater to all coffee drinkers and picked out ones to suit all different styles of kitchen and budget. Which one will take pride of place on your kitchen counter? The Ninja Coffee Bar allows you to make the perfect cup of coffee all year round. It is a filter machine that can make hot and cold drinks and includes a milk frother to add variety to your coffee choices. It comes with 5 paper filters to get you started, but then you will need to top these up as you go, however this does of course work out cheaper than purchasing a Starbucks every day. This machine comes with an easy-to-follow instruction manual so you’ll be whipping up your favourite fancy coffees like a pro in no time. If your coffee of choice is a smooth latte or frothy cappuccino, then this coffee machine will make an excellent addition to your kitchen. This coffee pod machine has a milk frother which allows you to recreate your coffee shop favourites at the touch of a button. It’s fairly intuitive to use and makes a coffee in as little as 25 seconds. Some users say it doesn’t make the coffee hot enough for their liking, but these milky coffees are made ready to drink and taste delicious. You can wake up to freshly brewed coffee every morning with this clever Morphy Richards coffee machine that allows you to programme it to make your coffee whenever you want it. The keep warm function is only 25 minutes though, so if you set it for the morning you’ll have to get out of bed fairly soon after it starts brewing. It comes in three different colours so you can choose one that suits your kitchen perfectly and if you’ve been considering getting a coffee machine for a while but don’t want to spend too much, this one is excellent value for money. This stylish coffee machine isn’t just a pretty face. As well as choosing from six different coloured machines, you’ll then get the luxury of choosing from over 35 different styles of coffee that are bound to cater to everyone’s tastes (as long as you buy the capsules that is). If you’ve got a small kitchen, this coffee machine is perfect as its slim and compact, so it won’t take up too much room on your worktop, and it is also extremely low maintenance with no heat-up time and dishwasher safe parts.